Long gone are the days of wanting those plastic cheese pizza rectangles. 1. A cookbook filled with tons of ideas for delicious, balanced bento lunch boxes. Get it from Walmart for $18.32. 2. A six-pack of bento containers to compartmentalize the different aspects of your kiddo's meal — extra great for getting the picky kid in your life who hates when different foods touch. 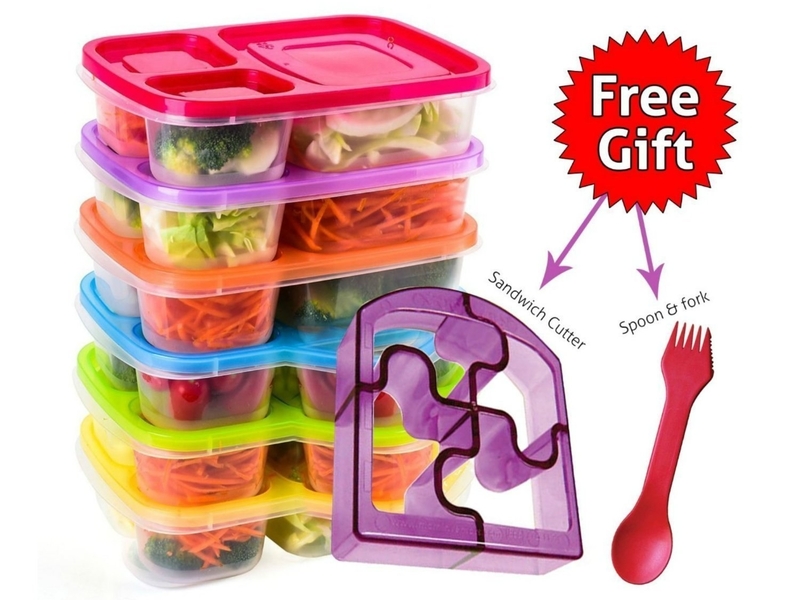 Includes a free puzzle-shaped sandwich cutter, and a two-in-one spoon/fork utensil. Each container has three compartments. Get them from Walmart for $13.99. 3. 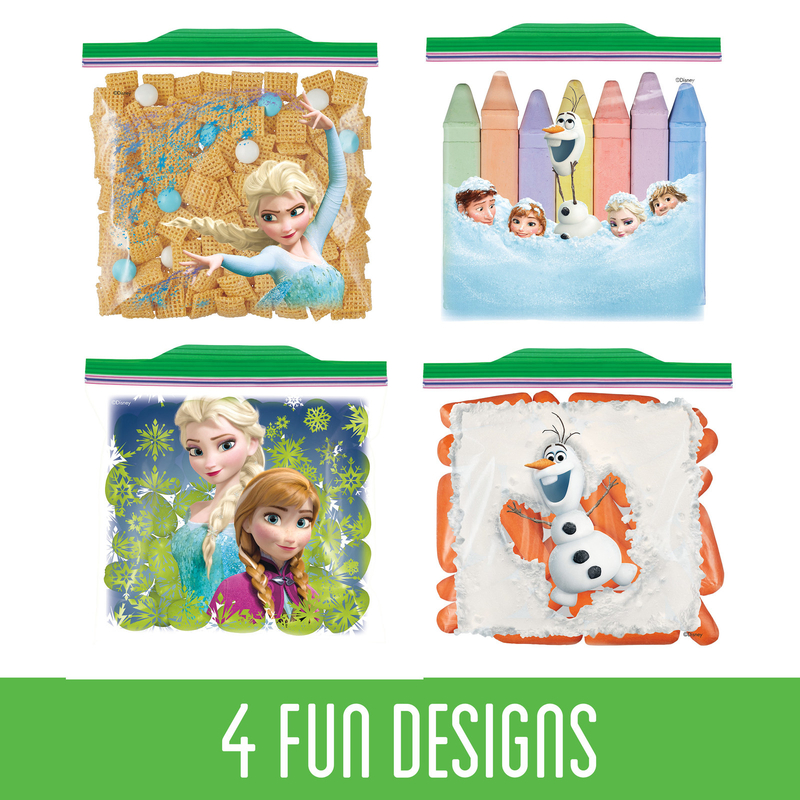 A printed sandwich bag (like the Frozen-themed baggies on the left, or the fun printed baggies on the right) that'll make them wanna open the bag and eat their turkey and cheese, rather than chuck it in the nearest garbage can. Get a 66-pack of Frozen sandwich bags (left) from Walmart for $3.18, or a 100-pack of the fun printed sandwich bags (right) from Jet for $3.99. 4. A thermal insulated lunch box for avoiding a soggy, wilted-away meal. BONUS = this lunch bag will survive years longer than one featuring whatever cartoon character they're obsessing over in a given school year. Lunch boxes are made with eco-friendly soft and easy-to-clean PEVA lining. Plus, they feature side pockets to carry extra items and a multi-functional strap with a buckle, so it's easy to carry! Designed to keep hot food hot, and cold food cold. Ya' know, the way you want it. Get it from Walmart for $12.49+ (available in 16 colors). 5. A drink box to concoct your own beverage to send off with your little one. Juice boxes contain SO.MUCH.SUGAR, so now you can be in control of what they consume. And, hey, even if you just fill it with water, it's still more fun to drink out of a juice-like box than a water bottle. 6. A veggie spiralizer that'll have you whipping up yummy "vegetable pasta," so they can enjoy a change from the typical sandwich lunch, and still pack in nutrients. Get it from Walmart or Jet for $13.88. 7. A 12-pack of silicone baking cups for making DIY lunchables in a container of your choosing. Cut up slices of meat, cheese, and set aside small handfuls of snacks, and voila — no more whining at the store for lunchables. Kids still do that, right? Baking cups are BPA-free, eco-friendly, non-porous, and made of stain-proof silicone. They're non-stick and dishwasher-safe! Get them from Walmart for $5.99. 8. An apple slicer/corer to making eating the apple you plan on packing them much more appealing. Kids like when things are cut up. Heck adults like when things are cut up...at least I do. Cuts apples into 16 slices! The slicer is thin and compact for easy storage! Get it from Jet for $10.99 (originally $12.99) or Walmart for $11.65. 9. 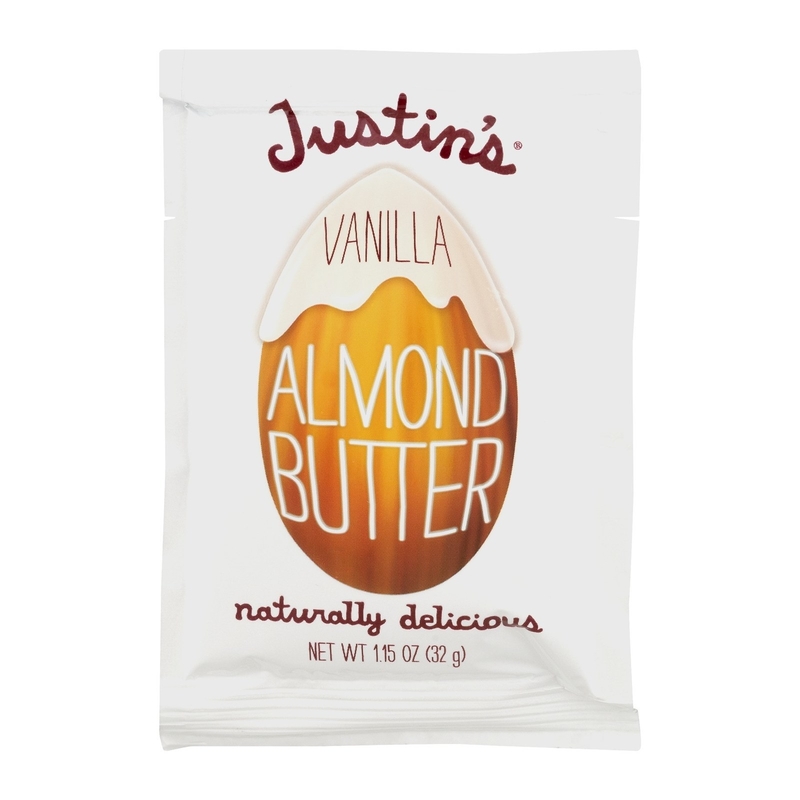 An on-the-go packet of natural creamy peanut butter, or vanilla almond butter (if the school allows nut butters), that'll make a delicious and protein-packed snack, and go great with whole grain bread, a couple of pretzels, or the apple slices from above. 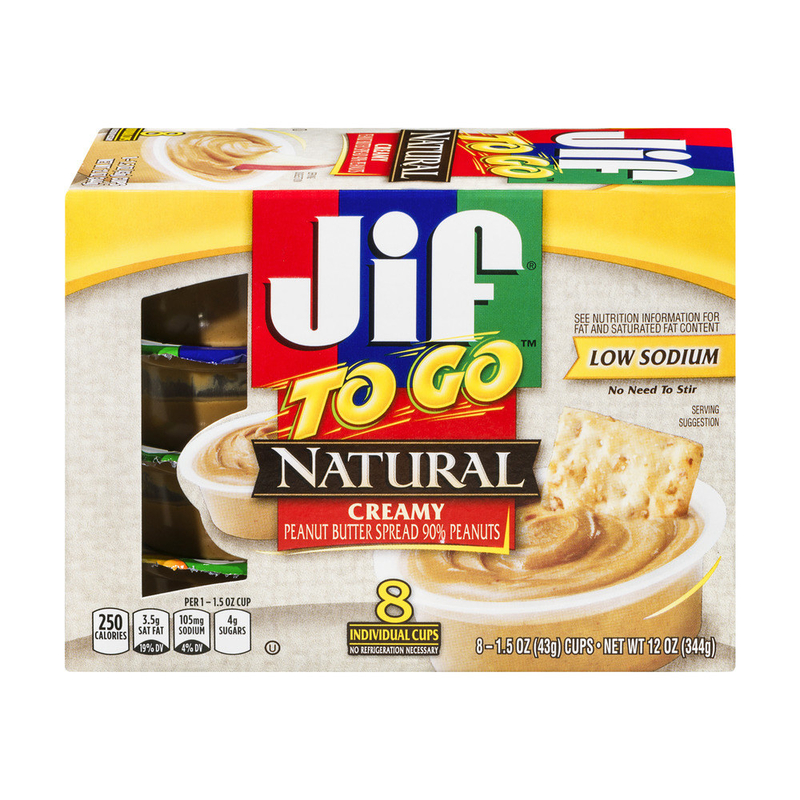 Get a three-pack (8 cups per pack) of the Jif to go natural creamy peanut butter from Walmart for $7.37, or a single pack (8 cups per pack) from Jet for $2.96, or a packet of Justin's vanilla almond butter from Walmart for $1.48, or Jet for $1.27. 10. A 15-pack of sandwich cutters for putting an end to lunch-time sandwich tradeoffs, and a start to showing off how cool their lunch is instead. Sandwich cutters are BPA-free, and heat-resistant in temps between -20 to 120 degrees C. Recommended to wipe under hot water to clean! Get them from Walmart for $19.98. 11. A four-pack of space-saving ice packs to keep food nice and chilled. Not to mention, they come in fun colors they'll be happy seeing when they open up their bag. Get them from Walmart for $14.20. 12. A 200-pack of bamboo skewers that'll make some super fun meals or snacks — it's been scientifically proven that eating food off a stick is more fun...right? Get them from Walmart or Jet for $5.39. 13. A book filled with 100 tear-out lunchbox jokes for slipping in their lunch each day and keeping them and their friends laughing. 14. A four-pack of clear containers to put out on the kitchen counter filled with nutritious snacking favorites so they can pick out their favorite noms as you pack their lunch — this way you both know they're gonna be happy with their selection. Feature snap-lock lids with silicone seals to open and close easily. 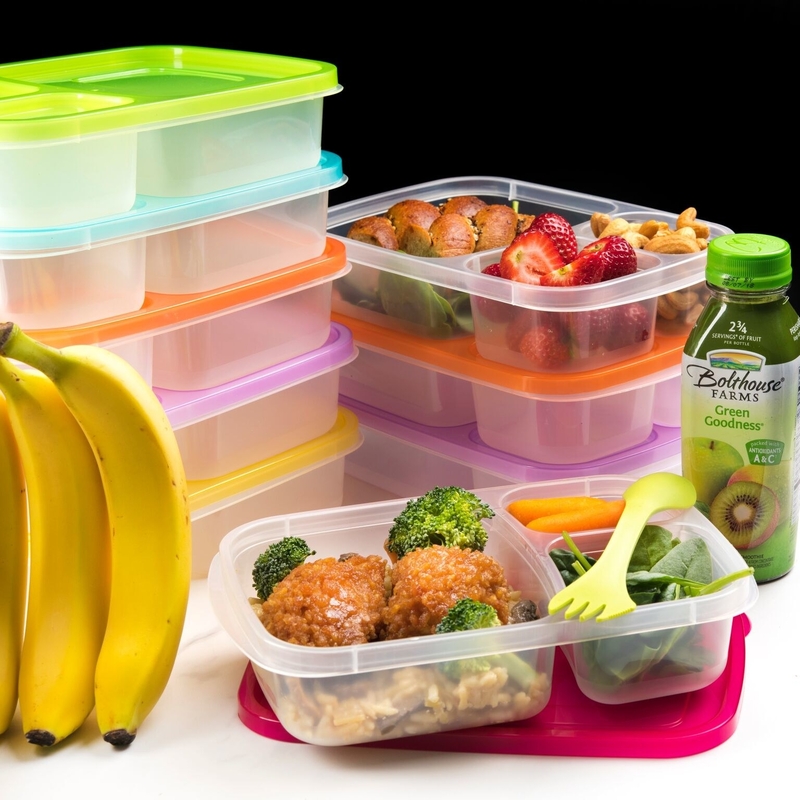 Containers are microwave-, refrigerator-, freezer-, and dishwasher-safe (top rack only). The containers and lids are made of BPA-free polypropylene. Recommended to remove and wash the gasket before use to optimize the seal. Get them from Walmart for $31.52. 15. A set of three stackable containers that'll make snack time the most fun part of the day. Plus, they look like a toy! If they can't play with their food, at least they can play with their containers! Fill the containers with items they can assemble themselves like granola, fruit, and yogurt. Or fill with different snacks so the picky eater in your life doesn't have their snacks touching. Or give one to each of your kids, so they all have a cool, neat container to eat their snack out of. Containers are BPA- and phthalate-free. Each containers holds up to 8 oz. of food. Get them from Walmart or Jet for $15.35. 16. A 12-pack of organic fruit snacks for a gummi-like sweet treat you can feel good about giving them, and they can be excited about eating. Get them from Walmart for $8.24 or Jet for $9.47. 17. A book filled with ideas of sweet notes to put into your child's lunchbox along with 75 tear-out notes to use. When the stresses of schoolwork are getting them down, opening their lunchbox to a letter from you is bound to make them smile. Get it from Walmart for $12.05. 18. 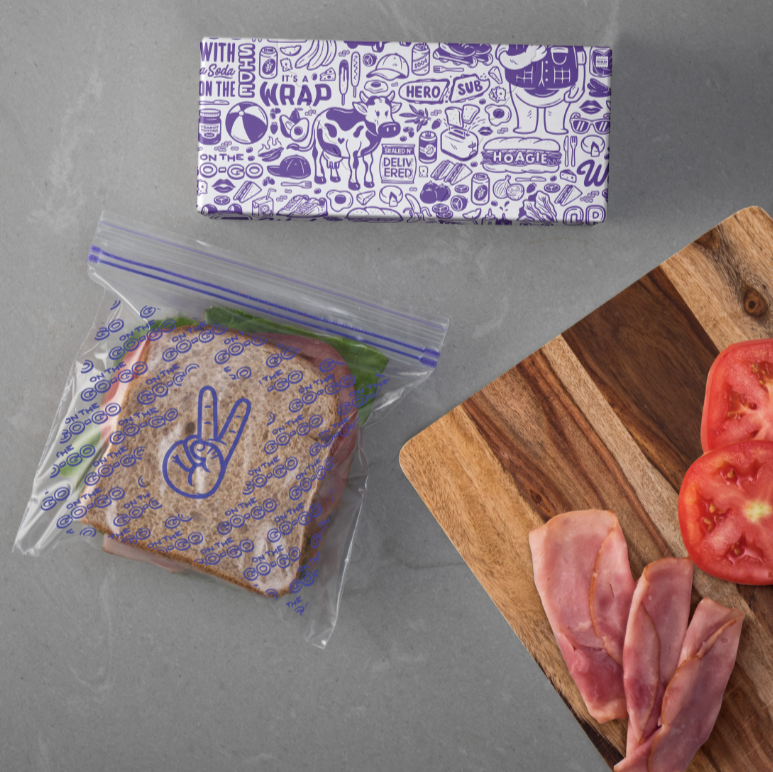 A 36-piece sticker pack that'll allow you to label their lunch in a fun and pretty way. Plus, it'll help prevent confusion should any kids in class have the same lunchbox as your child. Get them from Walmart for $7.17.